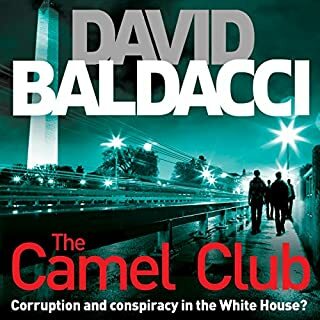 Back in DC after successful missions in Edinburgh and Tangier, assassin Will Robie sees his latest assignment, to eliminate a US government employee, go badly wrong. What had she done? Or what did she know? Robie is now a wanted man. But it seems that he’s not the only one on the run. Young teenager Julie Getty is devastated by the inexplicable murder of her parents in their home. Who wanted them dead and why, is a mystery. But Julie is smart enough to believe that their killer will come after her. Robie and Julie meet when he saves her from an attempt on her life as they are trying to leave town. The police investigating the hit start to take an interest in Robie. He’s particularly attracting the interest of Special Agent Nicole Vance, who believes that the two cases are connected. Robie finds himself in a dangerous position as he is tasked to investigate a crime at which he was present. Does he need to change sides to save lives - including his own? ...apart from the annoying musak and awful sporadic sound effects. I read/listen to books to utilise my imagination I did not like the intrusive additional noise. A good old fashioned thriller! Early on I thought "what is this?". Is this guy for real? Ron McLarty's deep serious tones illustrated the perfect all-american hit-man and there was fade-in/ fade-out music and sound effects happening. 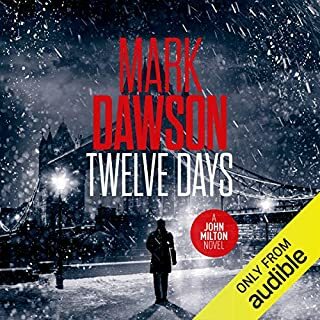 I was confused as hell!But I hung in there and dismissed my preconceptions about how an audiobook should be... and then it happened: I really got into it. Purchased book 2 before I even finished book 1 so that I wouldn't suffer withdrawel symptoms and loved the experience! This was what it was, Ron McLarty and Orlagh Cassidy, complete with sound effects, a great old-fashioned thriller story with well resourced bad guys and the infallible but very likeable good guys. The whole book was a great experience.Highly recommend it! 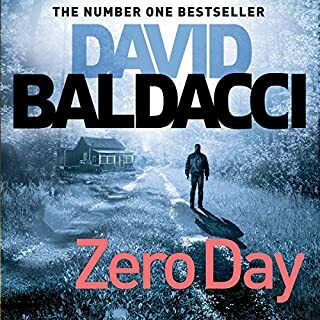 I've not read any Baldacci before, so found this a real treat. the story is good with some real twists in the plot and some intriguing characters. There is some production value to the audio with sound affects and music used sparingly, that I found a little amusing at first. But it's not long before you realise it adds tension and value to the story. Ron's voice is great with good intonation and characterisation and Orlagh playing the female roles works well also. A cracking production all round. 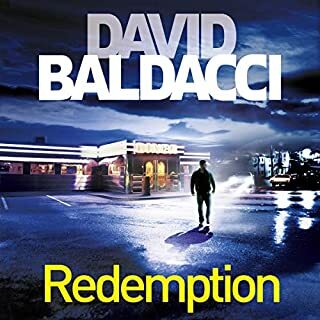 If they were a Baldacci fan. If not I don't think this would be the best book to introduce them to him. I'd suggest the King and Maxwell series or the John Puller series as a starting point. 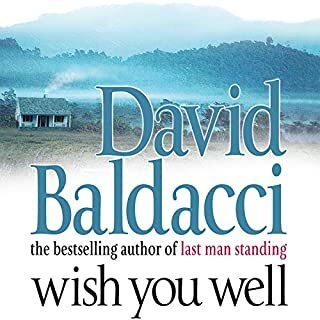 Would you be willing to try another book from David Baldacci? Why or why not? Absolutely. But maybe not based on this book. I enjoyed this book but not as much as the others I've read by this author. I found it hard to warm to a "hero" who is an assassin, but warm to him I eventually did. I just wish the publishers didn't insist on sound effects and music at crunch points in the story, they don't add anything and can be a little distracting. Surprisingly I know what gunfire or speeding cars sound like. Having said that I didn't find it as grating with this book as I have previously, maybe I've learned to tune it out! 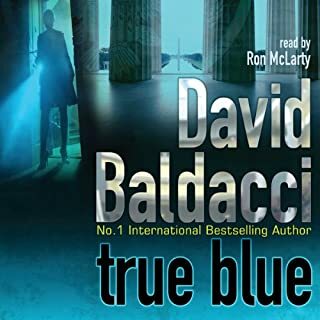 I like the two narrators, they' ve narrated most of the Baldacci books I've listened to and it works really well not having a man doing a falsetto voice or a woman pretending to be a man. This is a good action book with a twist - the hero is a trained killer. 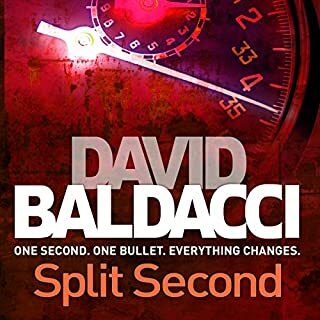 The author has created a nice complex character and delivers a really good action thriller. I have read both the Will Robie books and enjoyed them both - fast action and clever. 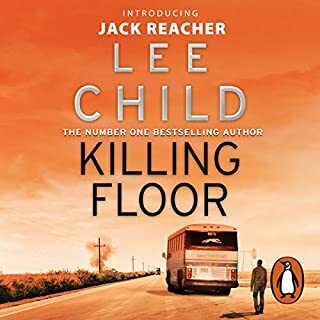 If you like Jack Reacher, John Puller, Jason Bourne then I think you will like Will Robie. This is a fairly mundane narrative. The writing was quite flat, the characters undeveloped, the plot utterly implausible and unconvincing, and the surprise twists were telescoped from early in the book. The worse part was the irritating music as the "scary" bits approached and at the end of chapters. If the writing and narration aren't enough, there is something wrong. Only small plus is that I DID finish the book to see what happened. I Can't Believe I Paid for This!! Dire story, dire "he said, she said" production and OTT sound effects. In a word - avoid!!!! Would give it zero but the computer says no!!!! 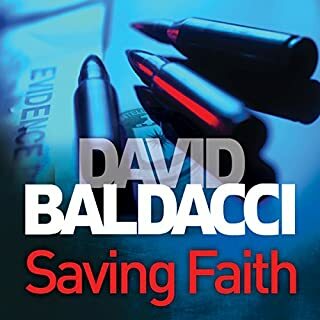 I loved it, could not put down, however the story is a bit far fetched comparing to other D.B. books. that's why the 4 stars. but it totally worth my time and money. 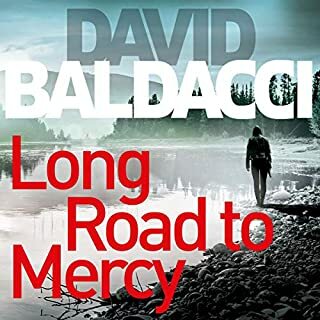 I am a keen Baldacci reader but this was perhaps the weakest book I remember. 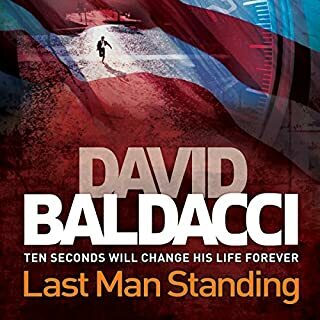 The last couple I have read have been based in Army CID special agent John Pullar. His investigative expertise is great and I have become used to Ron McLardy playing the part with Orlagh Cassidy playing the supporting role. The main character in this book is Will Robie who is not an investigator but an assassin. After the assassin elements are over in the first half hour, Will Robie simply becomes John Pullar. 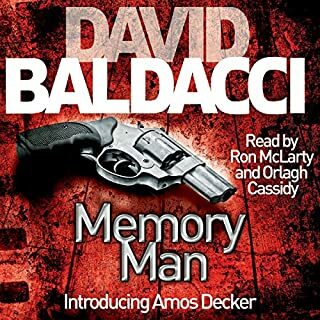 He morph's from an assassin into an ace detective / investigator and I felt Baldacci had reverted to his comfort zone and of course what he is good at after starting down the road of an assassin. This is not helped by the same narrator playing both parts. After half an hour the story would as well have been a John Pullar story. That was disappointing. The storyline is fine and the book reasonably enjoyable but certainly not a favourite. The audio book started with "Sound Effects", something I absolutely hate. 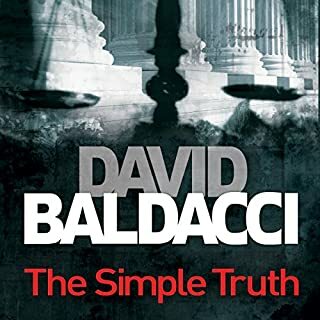 It is an insult to the narrator, showing his/her voice will not carry the story.I have looked at other reviews of this book. The story line should interest me. But, I gave up after listening to Ron McLarty's voice for 30 mins.I want a refund for my wasted time and money. What didn’t you like about Ron McLarty and Orlagh Cassidy ’s performance? Ron McLarty's voice is better suited to the 30 seconds of scary advertisment to the next big horror movie block buster. Ron also sounds like he is a 3 packet per day smoker.Orlagh Cassidy. Only heard her voice for a few seconds. No opinions. If you could play editor, what scene or scenes would you have cut from The Innocent: Will Robie, Book 1? 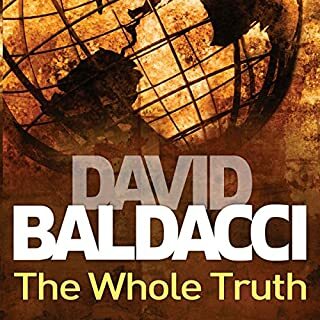 Only got 5% into the audiobook, before I gave up. Cut the narrators, and start again. 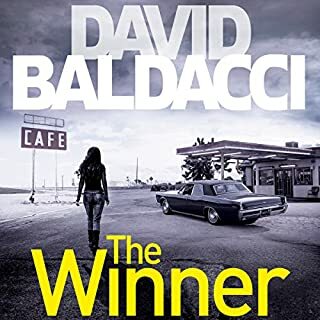 I have also purchased the next book in the series "The Hit". It will not be listened to either. I am now even more annoyed at spending money on thse two audio books. What did you love best about The Innocent? 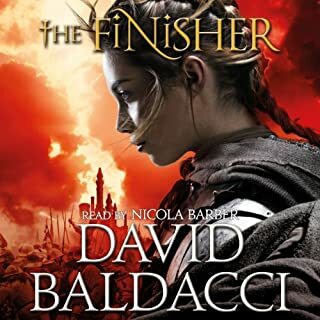 I particlularly liked the use of different voices and sound effects something many other audio books have not had. Unfortunately I don't have that opportunity, but I found myself siting in carparks at my desitnations so that I could get to the end of chapter. Not only is this a great story but the performance by Ron McLarty and Orlagh Cassidy was superb. A definite valuable asset in my collection. Just get it and start listening. 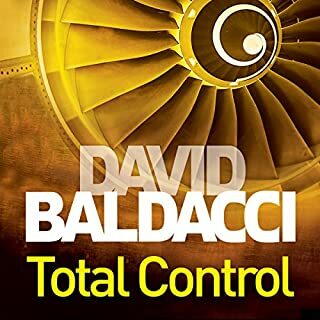 enjoyed the book immensely although slightly predictable it was still a great listen and worth the download. 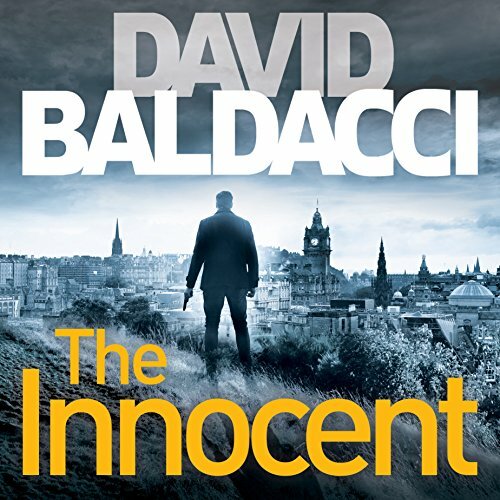 “The Innocent” is my favorite Baldacci book with Will Robie at his best! I give the book, the characters, the plot and the narrators 7 Star rating and a 7-Gun Salute!!! Another fantastic story the two narrators make all the difference. I'm reading my way through the entire booklist, I can't get enough of this author. Loved the sound effects,using 2 narrators works. If you could sum up The Innocent: Will Robie, Book 1 in three words, what would they be? Yes it made me download books 2 & 3, & they are just as good as the first. Personally I enjoy a book being read and using my own imagination for sounds effects and such like. 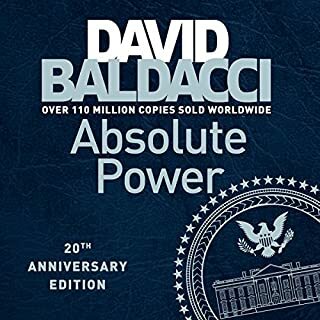 The fact that these were added in this audio book, together with it being read by two people (male and female) made it seem more like a recorded stage production than an audiobook. Listened to the first bit, and stopped. Am going to buy the paperback second hand from the local charity shop. While this type of production might suit some, it did not for me. So based on this I would not suggest this book, but as I said, that is me.